Our narrator Pearl has run away from an abusive home life to try to find a new existence, and when she stumbles on a hobo camp she takes on a new identity: Soupy, a young boy new to the hobo life. 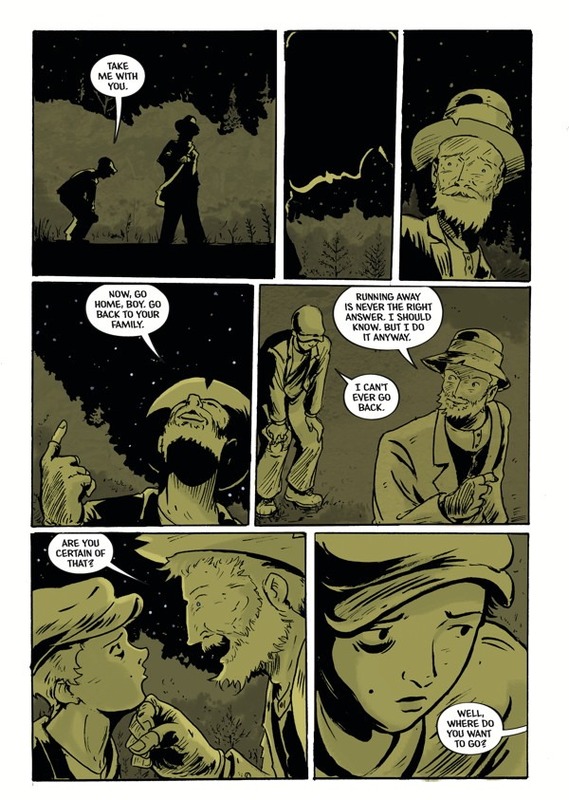 An older hobo named Ramshackle takes Soupy under his wing, and they continue their journey Westward together. They might not have much food or shelter, but they share what they do have…and both have their secret hidden baggage that needs to be dealt with if they want to reach a satisfying end to their ramblings. Observations: Running away to find yourself is a timeless topic and one that has enduring reader appeal—I was immediately drawn into the idea of Pearl leaving a difficult home life for a life on the road. Also, there is a certain romanticism to the old-style hobo way of life depicted in this book. It provides an inside look at a lesser-known cultural lifestyle of the time period (including a glossary of hobo signs! ), and the difficulties of the Depression that forced so many onto the road. Beyond the historical elements, this one is also thematically strong; themes of empowerment and redemption are woven throughout the book, focused as it is on characters who lack social and economic power for a variety of reasons. The characters are intriguing and sympathetic, particularly the Pearl, who learns the meaning of friendship and how to rely on her own wits to survive—not simply blindly believing in others’ judgments. I loved the art style and judicious use of color in this one—it manages to be both stark and whimsical in equal measure, with a lot of fun little hidden drawings that make it rewarding to explore slowly and re-read. 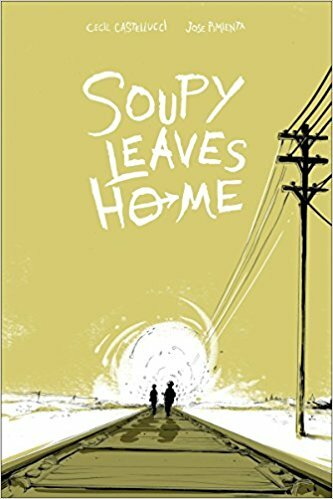 Conclusion: It’s clear why Soupy Leaves Home ended up on the Cybils shortlist for 2017. The timeless story of journeying to find oneself, along with the intriguing historical backdrop, make for an appealing combination. I received my copy of this book courtesy of my library. You can find SOUPY LEAVES HOME by Cecil Castellucci and Jose Pimienta at an online e-tailer, or at a real life, independent bookstore near you!